Place Of Birth: Earth 5700 AD. Magic: Ferenc Aldebaran claims to be a magician, it is possible he is a stage magician and has no super natural powers. 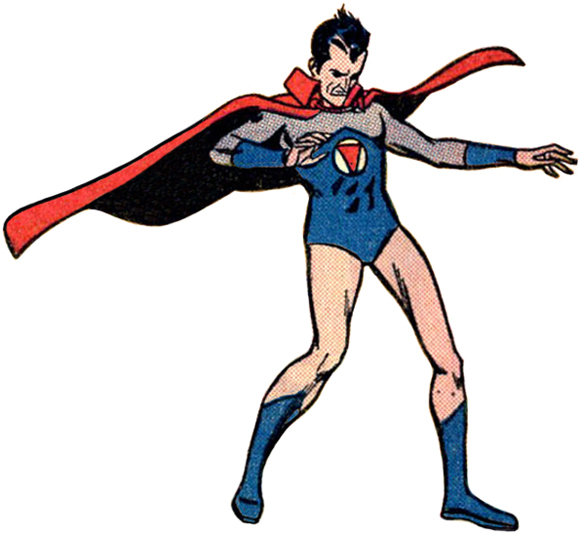 Mento-Ray: Ferenc Aldebaran possesses a device known as a Mento-Ray, the ray is capable of controlling minds and was capable of causing paralysis in Hal Jordan. Ferenc Aldebaran is a magician, in the year 5702, who became the most striking figure of the age, known as the greatest magician who ever lived. He attempted to stage a coup against the leaders of the world.